Kentucky USDA Loans are mortgage loans which are backed and guaranteed by the United States Department of Agriculture. These loans are sometimes known as Rural Housing Loans or “Section 502” loans, which are named for it’s place in the USDA Charter. USDA loans are extremely popular by both first-time homebuyers and even previous homeowners due to their low, competitive interest rates but also there is no need for a down payment. USDA loans also offer lower monthly mortgage insurance premiums (MIP) than some of it’s popular counterparts, FHA and Conventional loans. CLICK HERE TO GET A USDA HOME LOAN QUOTE NOW! While underwriting requirements for USDA loans will vary based on the credit profile of the borrower, there is one requirement where there is absolutely no leeway and that is with the household income limit for the area you are purchasing in. USDA has set specific income limits based on the size of the household. Categories are based on household sizes of 1-4 and then household sizes of 5-8. USDA has published a great new PDF document that lists every area in every state. You can view that document by here. You can always go to the USDA eligibility website and lookup the income limit for the area you live or are wanting to purchase here. If you’re looking for a low- or no-money-down home loan, then the USDA loan may be the perfect option for you. You can get a free USDA home loan quote now! There is no obligation to proceed, and we’ll be happy to answer all your questions. Announced at KHC’s Lender Luncheon last week, effective with reservations as of March 12, 2018, KHC will now allow manufactured homes with its conventional products, which is an exclusive for HFAs. This product has the same 660 credit score and ratios 40/50 as our conventional products, and can be used with new and existing properties. Additionally, KHC will allow 95/105 percent CLTV. National Mortgage Insurance and Mortgage Guaranty Insurance Corporation have approved of this product, other mortgage insurance companies are currently reviewing it, but the loan can be used with our preferred risk (without mortgage insurance) product as well. KHC’s program guides have been updated to reflect this change. When reserving the conventional program for a manufactured home, choose either Preferred MH or Preferred Risk MH with or without DAP in KHC’s loan reservation system. 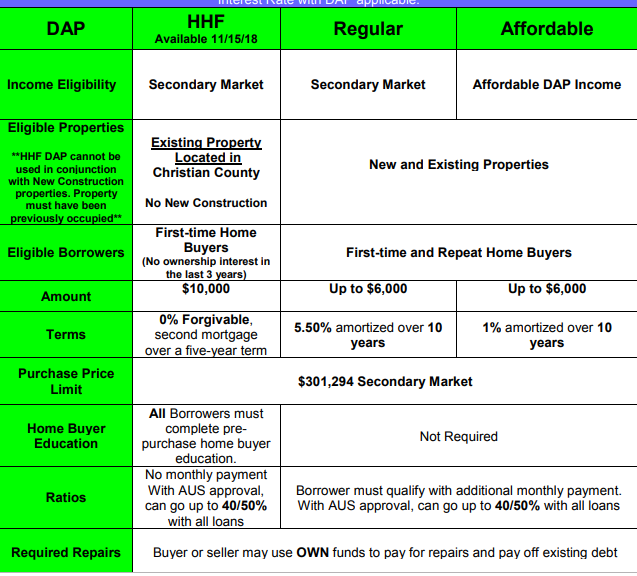 Getting qualified for a home loan is easier than you may think! Talk to one of our local specialists today about which program is right for you! 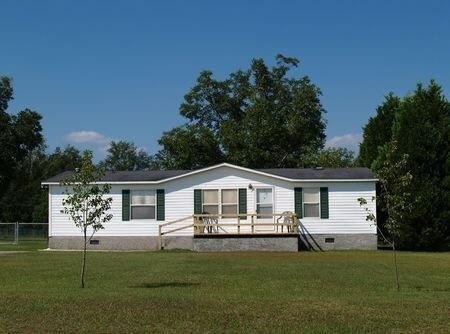 Kentucky USDA guidelines to add manufactured housing as an eligible property type for USDA loans. See requirement details below. The unit must be property installed on a permanent foundation according to HUD standards and the manufacturer’s requirements for installation on a permanent foundation. A certification of property foundation is required. A new construction manufactured home is not allowed. The unit and site are already financed with an Agency direct single family or guaranteed loan. The unit and site are being sold by Rural Development as REO property. The unit and site are being sold from the lender’s inventory and the loan for which the unit and site served as security was a loan guaranteed by Rural Development. The unit was installed on its initial installation site on a permanent foundation complying with the manufacturer’s and HUD’s installation standards. A loan will not be guaranteed for the purchase of an existing manufactured home that has been moved from another site. The land must be fee simple. The Manufactured Home must be a one-unit dwelling legally classified as real property. The towing hitch, wheels, and axles must be removed. The Manufactured Home must have at least 400 square footage, room dimension to be acceptable to purchasers in the subject market area. The appraisal form 1004c must indicate evidence of the HUD Data Plate/Compliance Cert and the HUD Certification Label. The Manufactured Home must be attached to a permanent foundation system. Engineers Certificate for foundation system is required. The Manufactured Home must be permanently connected to all necessary utilities. The property must not be located in a flood zone. Endorsement ALTA 7,7.1 or 7.2 is required. Confirm property is legally classified as real property. Any certificate of title to the manufactured home must be surrendered to the appropriate state government authority. Must also include the VIN, Serial numbers from the HUD Data Plate of the manufactured home along with the description of the land. Appraisal must be completed using the Manufactured Home Appraisal Report Form 1004C. Appraiser must use a minimum of three comparable sales of similar manufactured home. A detailed and supported cost approach to value is required on all Manufactured Home appraisals. If the site or manufacture home is substantially non-conforming with the neighborhood, it is ineligible. Creating comparable sales by combining vacant land sales with the contract purchase price of the home is prohibited. Kentucky Housing Corporation (KHC) recognizes that down payments, closing costs, and prep​aids are stumbling blocks for many potential homebuyers. We offer several loan programs to help you achieve your dream of buying a home. Your KHC-approved lender can help you apply for the program that meets your needs. The Hardest Hit Fund Down payment Assistance Program (HHF DAP) is available to Christian County only, starting November 15, 2018; first-come, first-served, based on qualifying guidelines. Zero percent interest rate for first-time homebuyers. No other counties are eligible. Borrower must be a first-time homebuyer (no ownership interest in the last three years). Pre-purchase homebuyer counseling is required. KHC invests in affordable housing solutions by offering programs and services designed to develop, preserve, and sustain affordable housing throughout the state. Since 1972, KHC has made homeownership possible for more than 94,000 Kentucky families. Let us help you make your move to homeownership in Christian County. What is the one thing that stops most buyers from buying a home today? They don’t have enough money for down payment and closing costs to buy a home. You can now get up to $10,000 at closing to help towards your down payment and closing costs. Combined with seller assist, this reduces the amount of money needed substantially. KHC is used for mostly applicants in urban areas of Kentucky that don’t have access to USDA or other government agencies to buy a home with no down payment. Duty to Serve (DTS) program. KHC-approved lender can help you apply for the program that meets your need. home using the KHC loan programs for their no down payment credit requirements. A minimum of 3.5% down payment is required with this loan. Down payment assistance loans are available from $4500-$6,000, and are paid back over a period of ten years. They are typically offered to buyers with limited cash reserves and carry an interest rate of 1 to 5.5%. These loans can make a critical difference to buyers for whom the down payment is an obstacle. Buyers whose 3.5% down payment is less than the $6000 limit may choose to use the remainder of a down payment loan to pay closing costs, further reducing the amount needed to bring to closing. There are 4 basic things that a borrower needs to show a lender in order to get approved for a mortgage. Each category has so many what ifs and sub plots that each box can read as it’s own novel. Do you have enough assets to put the money forth to qualify for the down payment that the particular program asks for. The only 100% financing or no money down loans still available in Kentucky for home buyers are available through USDA, VA, and KHC or Kentucky Housing Loans. Most other home buyers that don’t qualify for the no money down home loans mentioned above, will turn to the FHA program. FHA loans currently requires a 3.5% down payment. 620 is the bottom score (again with few exceptions) that lenders will permit. Below a 620, then you’re in a world of hurt with most FHA, VA, Fannie Mae and USDA Lenders that we deal with. I do deal with some lenders that offer a FHA loan down to a 560 credit score, but most FHA and VA lenders will wanta 580 to 620 score. Fannie Mae or Conventional loans will not go below 620. Even at 620, people consider you a higher risk that other folks and are going to penalize you or your borrower with a more expensive loan. 720 is when you really start to get in the “as a lender we love you” credit score. 740 is even better. Watch your credit scores carefully. You have three credit scores from Experian, Equifax and Transunion, and the lender will take your middle score. For example, Experian comes back with a 598, Transunion a 620 score, and Equifax a 615 score, then your qualifying middle credit score would be 615. Your scores will have to come from the mortgage company’s credit report bureau they use so please be aware that sites like Credit Karma and Credit Sesame will show different estimates of your scores that could vary once the lender pulls your true fico scores. Getting your fico scores costs money, so you can always pay and get your score first or have the lender pull it for free. Answer. Mos lenders will wants a middle credit score of 640 for KY First Time Home Buyers looking to go no money down. The two most used no money down home loans in Kentucky being USDA Rural Housing and KHC with their down payment assistance will want a 640 middle score on their programs.